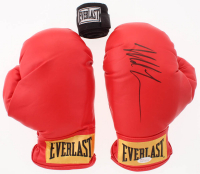 Pair of Everlast boxing gloves. 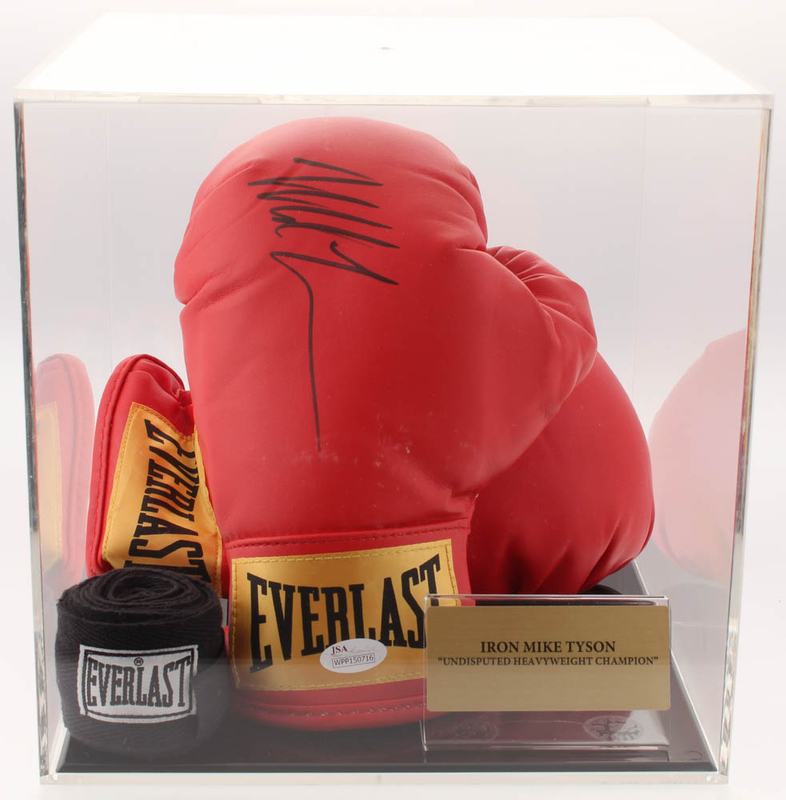 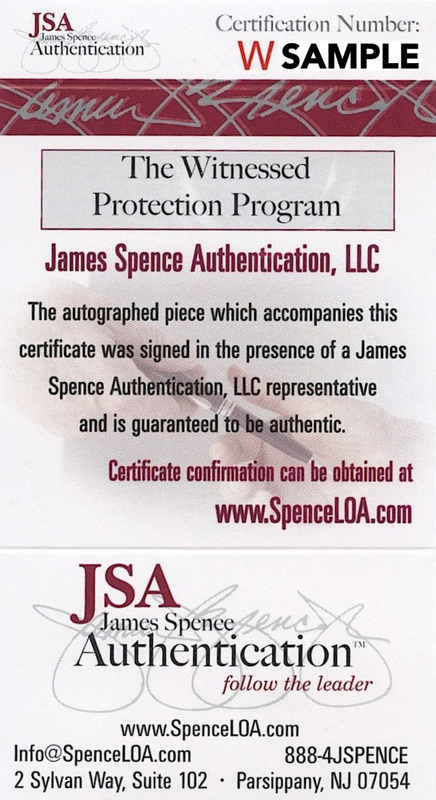 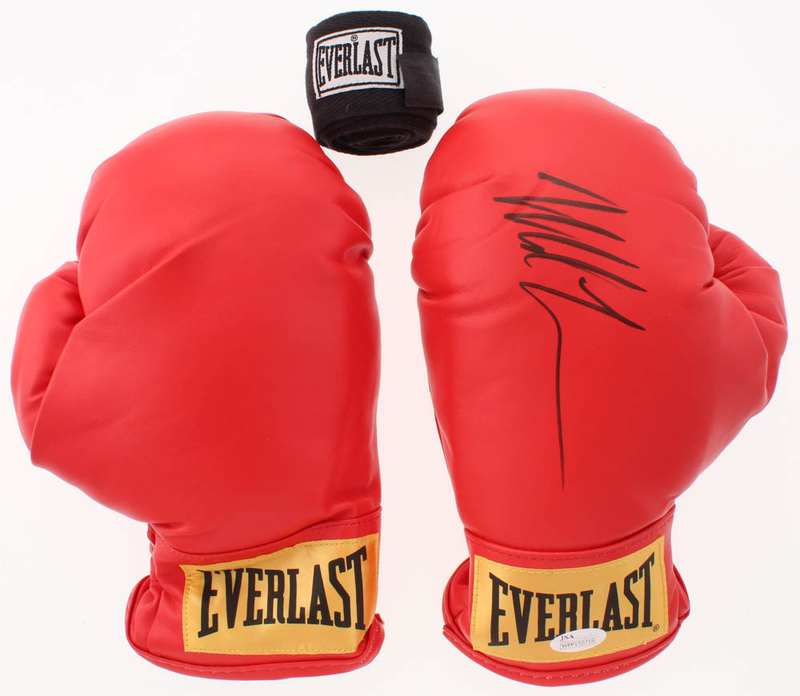 The left hand glove has been hand-signed in black felt-tip pen by Mike Tyson (HOF). Includes display case as well as Everlast glove tape as shown.